Tasked by his news editor to come up with a sensational article about old, unsolved murders, reporter Eric Braden finds himself in rural Warwickshire, investigating the horrific death of a local Lothario, whose body was surrounded by pagan symbols. The detective from the original investigation is now a broken man and reluctant to tell his story, but there are others who demand answers, even all these years later. Narrator Barnaby Edwards does a great job at reading this story and he manages the various accents in a convincing style as the story unfolds and is told from various points of view as the backstory of the original murder is explained in second-hand narratives. 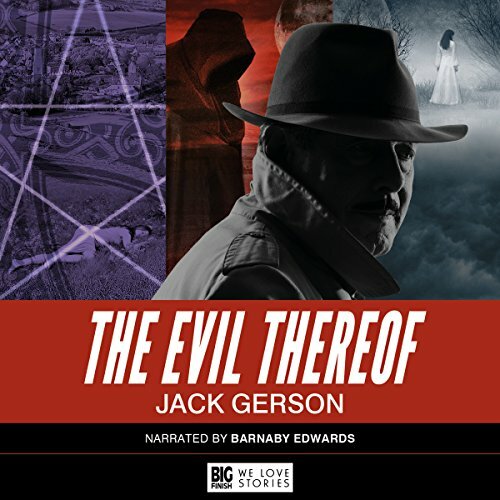 The Evil Therof is a murder mystery full of intrigue, red herrings and misdirection... along with the supernatural elements that give this story a dark tone. There is, of course, the obligatory twist at the end too. Overall I found this audiobook to be an enjoyable listen that kept me interested until the end.